The EHF Court of Handball has suspended Zarko Markovic of HC Metalurg for unsportsmanlike conduct. The EHF Court of Handball has reached a decision following disciplinary proceedings against Zarko Markovic of HC Metalurg. He received a direct direct disqualification in the last minute of his team’s VELUX EHF Champions League match against St. Petersburg on 9 October 2011. The panel of the EHF Court of Handball found that the actions of Zarko Markovic against player number three from St. Petersburg in the 59"57 minute of the match were "unsportsmanlike conduct". He will be sanctioned with a one match suspension. The player will therefore not be eligible to play for HC Metalurg in the next VELUX EHF Champions League match against HSV Hamburg, taking place in Hamburg on 16 October 2011. 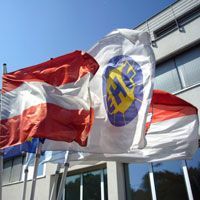 An appeal to the EHF Court of Appeal may be lodged by the player and/or his club by 18 October 2011.